WEH says the durable TK17 CNG fuelling nozzle for cars, distinguished by minimal maintenance and downtime whilst providing optimal operator safety, has been winning customers from all over the globe for more than 10 years now. In Germany, where the CNG market is well established, nearly all fuelling stations are equipped with this unique pistol grip nozzle. 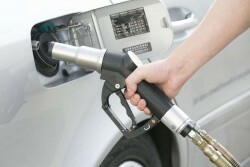 In the growing European and American CNG markets the innovative fuelling nozzle is being very well received. Thanks to extremely high flow rates, vehicle refuelling is fast and efficient. The filling procedure can be safely and easily interrupted or terminated at any time. The nozzle is designed to prevent accidental use outside its predetermined pressure range. Visual codes are used to distinguish nozzle types: 200 bar is coded black and 250 bar is coded yellow. Operation is single-handed and very simple. Just remove the fuelling nozzle from the dispenser mounting and engage it to the receptacle. An integrated swivel joint facilitates handling and allows for the fuelling nozzle to be turned to the best position for comfortable fuelling. Retract the actuation lever for filling to begin. The gas will only flow through the fuel line if a safe and pressure-tight connection is established. When filling is finished, the fuelling nozzle can be disconnected once pressure venting of the system is complete. WEH GmbH Gas Technology is an NGV Global Corporate Member.